Probiotic-rich foods are consumed without much restriction. We report here, a case of septic shock caused by yogurt derived Lactobacillus species in a 54-year-old male patient with acute promyelocytic leukemia, in second complete remission, and who was an autologous stem cell transplantation recipient. He received high dose chemotherapy and autologous peripheral blood stem cell transplantation. He ingested commercially available probiotic-enriched yogurt because of severe diarrhea. One week later, he developed septic shock, and the pathogen was determined by strain-specific PCR analysis as Lactobacillus rhamnosus GG (ATCC 53103), which was found to be identical with the strain in the yogurt he consumed. 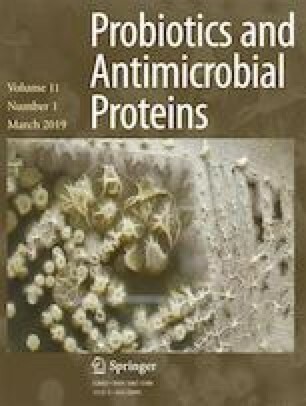 Thus, because even low virulent Lactobacilli in the probiotic products can be pathogenic in the compromised hosts, ingestion of such products should be considered with caution in neutropenic patients with severe diarrhea, such as stem cell transplantation recipients. On behalf of all authors, the corresponding author states that there are no conflicts of interest. The authors declare that the final manuscript has not been published before and the work is not under consideration for publication elsewhere. Written informed consent was obtained from the patient for publication of this case report. A copy of the written consent may be requested for review from the corresponding author.